Fill out this form to receive a free sample of NIVEA Touch of Sparkle Body Wash.
Now you can better protect your family this cold and flu season – and all year long. 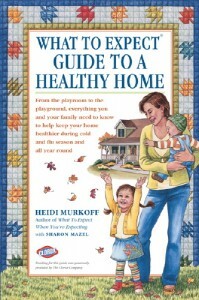 What to Expect Guide to a Healthy Home is full of helpful information and simple ideas so you can keep your home and family healthier. Order now while supplies last. 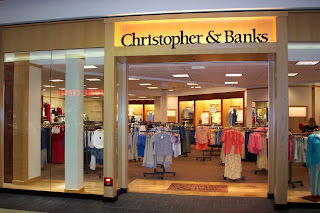 Christopher & Banks: $10 off ANY Purchase! Christopher & Banks is offering up $10 off ANY purchase! To access this coupon, click on "Email sign-up" in the upper center, then fill in your info. After doing so, you'll receive a welcome email with a link to the coupon inside. There is NO minimum purchase requirement at all and this coupon can be used on markdowns too! Use this in-stores or online. 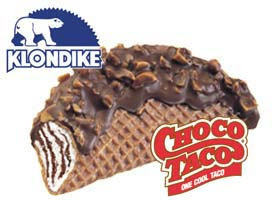 Klondike single Choco Tacos priced at $1. Pair this deal with the $1/2 Klondike coupon available on Coupons.com. Final cost only .50 each! You can also print an additional $1/2 klondike coupon here. Dolly Parton's Library: FREE Books for Kids! If you have a child 5 years or under, then they may be eligible to get a FREE book in the mail every month! Yay! All you need to do is go on over here, type in your zip code and see if there is a sponsor in your area. If so, you'll be able to register your child and start receiving FREE books. It's that simple. On a personal note I've actually signed up with this. I've been receiving these books usually every month or so and the books are wonderful and I love getting a new one for my son every month. This works and its so wonderful of Dolly Parton to do this for kids. 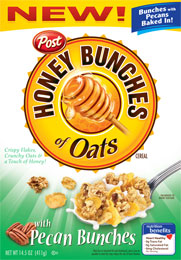 There is a brand-new $2/1 Honey Bunches of Oats Pecan Bunches coupon available. Safeway/Vons has these cereals on sale for $1.99 which would make them free after the coupon. And my guess is that they are priced under $3 per box at Wal-Mart as well. Schwan's is offering $10 of free food, and they definitely have a lot of items you could order under $10. The first 500,000 new customers on Saturday, August 1 after Noon (CT) will receive FREE FOOD from Schwan's. FREE Copy of The Full Plate Diet Book! 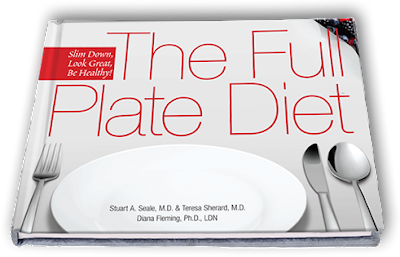 Fill out the simple form to receive an advance copy of The Full Plate Diet. This is Completely FREE... Even postage! Yay! You should receive your book within 7-10 business days. **They are only offering up 20,000 FREE copies, so hurry and get yours! Play the Wendy's Twisted Frosty game and you might win a free frosty or other fun prizes, but even if you don't, everyone who plays gets to download a $1/1 Twisted Frosty coupon. Go here to learn how you can sign up for a free sample of L'Oreal Advanced Revitalift Deep-Set Wrinkle Repair. Hurry and go print your $1.50/1 Kraft Salad Dressing coupons here (or here in FireFox). You can print two per computer and I am guessing a high-value coupon like this will go fast! 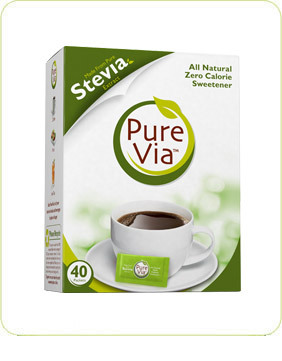 Wal-Mart often has these priced at $1.59 making them $0.09 after the coupon. Old Navy has a new awesome money saving site called OldNavyWeekly.com! Hidden on the site will be coupons that you'll be able to print and use on in-store purchases. Just click on various images and see what pops up. Some of the coupons will be very high value, such as $75 off $100 purchase!!! The $75 off $100 purchase is located in the quiz at the very top of the page. Click where it says "Life as a supermodelquin kid is... " and a question should show up. Who is Christopher's dad? Answer: Wesley All the coupons are gone. The $50 off $100 purchase is located at the red apple. You have to wait for the apple to fall out of the little girls hand. It will probably take several minutes for it to fall. Once that apple falls you may not be able to catch it. It goes very fast and you have to reload the page to get it to fall again. But once the apple falls there's a glitch and you can click in the terms & conditions area and the clickable area is right there and should bring up the coupon. All the coupons are gone! These coupons usually release on Thursday evenings. And there is no telling what time they'll release, and sometimes they have even released early Friday morning like around 3am. And once they release the coupons they'll be gone within 5 minutes or so. I've been able to get several $50 off $100 purchase coupons over the length of the summer and I've even gotten my hands on the $75 off $100 coupons too. I just got 3 this last week. So it's not impossible. When I started looking for these coupons... this chat room was a big help. These people get together every Thursday and wait for the coupons to release. Once they do release you can all look for the coupon together and when they find it they'll tell you where the good coupons are. It's up to you to actually get the coupon, or catch it. You just never know where they are or how to get them. You can also go to Slick Deals Forum Community and they post about the coupons too, they just aren't as quick as the chat room is. This website is updated by someone at Old Navy and that is how everyone in the chat room will know when the coupons will be released or if they've changed anything. I hope I've covered everything... there's so much that goes into getting these special coupons. Try a FREE Sample of new strengthening oil moisturizer and reconstructing deep treatment conditioner featuring organic shea butter and green tea. Sign up for CVS photo center. It's free and you'll get up to 50 free prints when you join. Includes free photo storage and sharing! Printable coupon from any Hallmark Gold Crown Store by August 31, 2009 to get a free $0.99 Hallmark card. 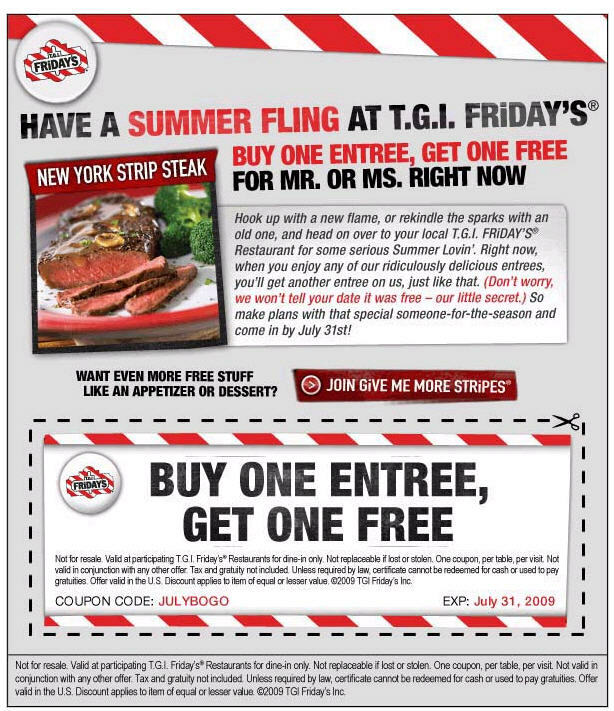 Wow yet another great coupon from TGI Fiday's. Buy 1 entree and get another free! This coupon expires 7/31, so you'll need to be quick. Well Sunday is my 28th birthday and I'm not really excited about turning 28 but I am super excited about all the free promotions that I had in my email inbox. I was so excited and wanted to share with everyone all the free stuff you can get. Victoria's Secret - I received a coupon/card in the mail about a month ago for $10 off $10 purchase and something else but I can't remember. I lost this coupon and haven't been able to use it. The only problem I might have with all these free offers is that I only have a couple of weeks to use them. They expire too soon. Sign up for the Abuelo's email list and you'll receive a coupon for a free entree when you purchase another entree and two beverages. T.G.I. Friday’s has done it again with another great promotion! Now through August 31st, take $5 off each additional entrée when you visit T.G.I. Friday’s. That’s $5 off if you buy two entrées, $10 off if you buy three, and so on (valid for up to ten people per party)! With entrées starting at just $6.99 (for the Gourmet Mac ‘n Five Cheese), you could really take advantage of this coupon to enjoy a great meal with your family and friends that doesn’t break the budget! Go here to print a coupon for a free travel size item of your choice (up to $5) when you make any purchase at Bath & Body Works through July 29, 2009. These types of coupons are excellent because you do not have a minimum purchase amount. You can buy a gift bag or clearance product for $1 or less and get the free travel size item. Print and redeem this coupon at your local TGI Friday's to receive a FREE Jack Daniel's® Sampler platter to enjoy. Coupon valid for parties of 3 or more. This coupon expires 8/15/09. Free SecureMount Anchors Sample ($24.95 value shipping included). Offer for one free pair of anchors valid between July 21 and August 11th, 2009. Innovative D-shape design creates optimal in-wall bracing without a stud, securely anchoring flat panel TVs up to 150 lbs. Coach – Print a coupon for a free gift in stores. Rumor has it that it’s the uber cute pencils pictured! Visit any Estee Lauder counter tomorrow evening (Thursday, July 23, 2009) for a free 10-day supply of Estee Lauder's new Advanced Night Repair. No purchase necessary. More details here. If you or someone you know is getting married soon, you can sign up here for a free issue of the brand-new magazine debuting in October called Get Married. SOMETHING MISSING by Matthew Dicks, THE CRYING TREE by Naseem Rakha and WHERE THE RIVER ENDS by Charles Martin (this one is a signed copy). Visit the 'Warehouse' and the 'Test Lab' sections, the links for these two places are at the top middle of the page, before you can get the fill form for the free blade, located down in the lower left corner, to come up. Get your totally free subscription to Off Road Adventures. No obligations! Tomorrow morning (Tuesday, July 21, 2009) until 10:30 a.m., you can get a free pastry at Starbucks when you purchase and handcrafted beverage. Print your coupon here. Pastries include: Muffins, Scones, Bagels, Croissants, Rolls, Breads, Pound Cakes, Coffee Cakes, and more. Go here to request your free cake or pie server from Eden Dreams Cake Boutique. 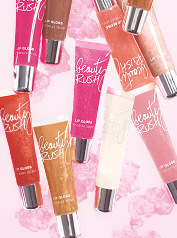 Pick up a FREE Beauty Rush Lip Gloss with any purchase at Victoria’s Secret! What kind of small, inexpensive items do you use these coupons with? It’s not showing an expiration date right now, so maybe that means it’s while supplies last. Free download of Corel Paint Shop Pro X... my favorite graphics program ever. Request a free subscription to Woman's Day magazine. sign up for a coupon for a $0.99 Sonic Chiller available in Cherry Limemade, Classic Limemade, or Strawberry Limemade flavors. The coupon expires 10 days after it is emailed to you. These Chillers are regularly priced at $2.49 so this coupon makes for a pretty sweet deal on a refreshing Summer treat. Coupons.com: New High Value Softsoap & Speed Stick Coupons = FREE products! Coupons.com once again has some HOT new coupons available! Don't see these coupons?! Try this zip code 45435! These are fantastic high value coupons and when paired with a sale will make for some sweet... possibly FREE deals! 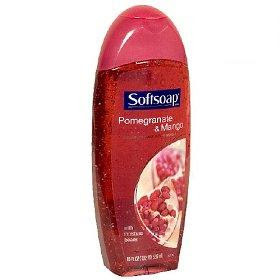 I know that Softsoap hand soap goes on sale for $1 quite often, so free after the coupon. Also, the Softsoap Body Wash is on sale at Walgreens right now for $2.99, so only .99 after the coupon! You may also want to wait for a buy one get one free sale on the body wash. If you do, you'll be able to use 2 $2 coupons--which could mean 2 FREE Softsoap Body Washes! Go here to print a coupon for a free dessert at Jack in the Box on your birthday. No purchase is necessary. Print this voucher and redeem at your local Macy's Clinique counter to receive a FREE 2 week supply of All About Eyes or All About Eyes Rich. Print and redeem this coupon at your local JCPenney to receive a FREE 8x10 photo ($9.99) and one free sitting fee ($9.99 value)! Hurry, this offer expires 9/1/09. Get a FREE Beauty Gift from Clinique and Facebook. Complete a short form, become a Fan on Facebook and you’ll have an email with your free voucher. Request your free coupon and receive your Free Venom Energy coupon in the mail in 4-6 weeks. 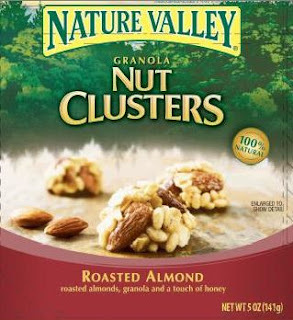 Text CLUSTER to 467467 to get your free Nature Valley Granola Nut Clusters sample. Note: standard text messaging rates will apply. Please fill in the form. When you are finished, click the "continue" button. Summer is almost here and Do Something is teaming up with Baskin-Robbins to say thanks for all the great stuff that YOU are doing to make change. From July 13th – July 17th, Baskin-Robbins is giving all Do Something members free Soft Serve. That’s right, FREE! To get your free cone, become a Do Something member and just make sure you’re signed up for our e-blast. We’ll email you the coupon for free soft serve on July 13th. Free TIGI lip palette - GONE! EXPIRED!! Go here and add the TIGI lip palette to your shopping cart and it's completely free--including the shipping. No credit card required. The site is loading very slowly for me, but hopefully you'll have better success! Thanks so much for stopping by my blog. I started browsing for coupons one day and I've been hooked ever since. Really its not just the coupons that sucked me in... it was probably all the free stuff that was out there to get. I was so excited about all my great finds that I wanted to share them with other people. I hope the posts on my blog will also help you the same way they have helped me. I'm a 30 year old stay at home mom to two precious little boys, 4 and 1. And I'm married to my childhood sweatheart... the love of my life. My life is so perfect in so many ways! FREE 2 Year Subscription to Shape Magazine! Coupon for a FREE Pint of Starbucks Ice Cream! Allure: 1st 500 Win a FREE Intuition Plus Razor!